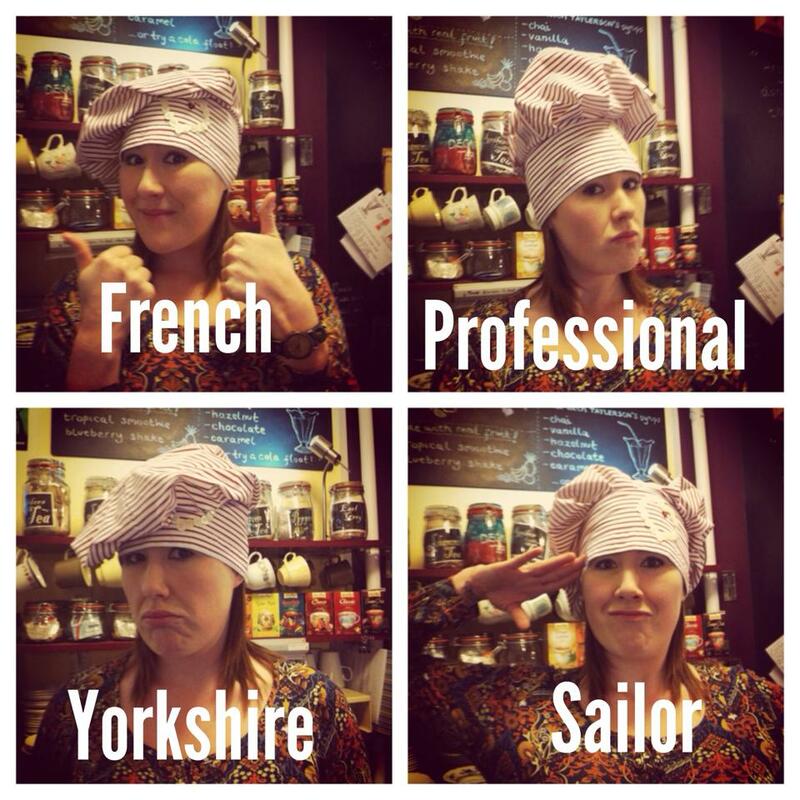 Volunteer Jen demonstrates ways to wear your chef’s hat! 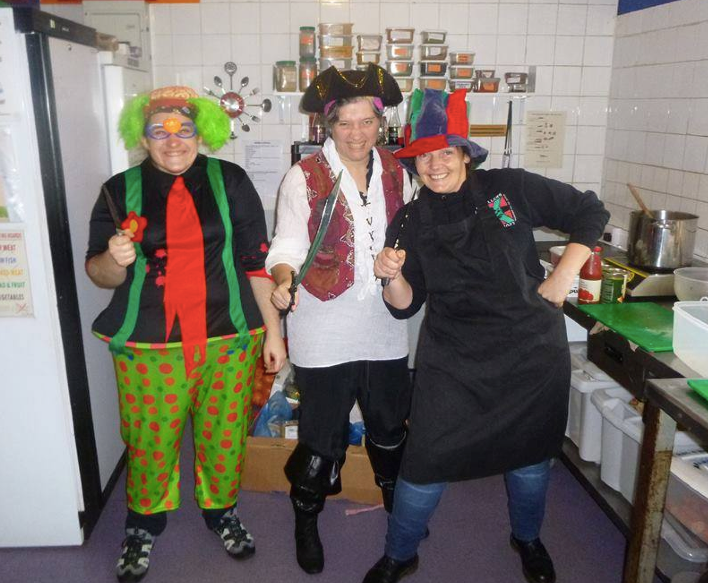 Volunteer Jen takes some time out from preparing lunches to show the options for wearing a chef’s hat! Our hats are made from recycled fabric (this one used to be a shirt) by Libby, who loves to embellish them with particular volunteers in mind! Mike’s has lacy knicker elastic round it, for example. So, if you want to join our crew and get to wear a snazzy hat like these, find out more here. This entry was posted in Behind the scenes, Our crew. Bookmark the permalink.